Consumer coupon expert Jill Cataldo is the founder of Super-Couponing Workshops - Changing the way you shop... Forever! 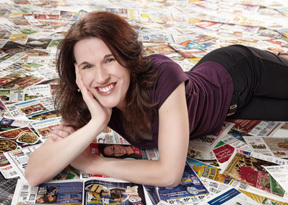 Jill Cataldo is the founder of Super-Couponing® workshops and author of the nationally-syndicated newspaper column and video series "Super-Couponing® Tips," enjoyed by over 20 million people each week. Fox News: "Jill Cataldo is amazing. She takes coupon clipping to a whole new level!" ABC News: "One of the premier coupon experts in the country." ABC's Nightline: "'Dear Abby' with coupons." Inside Edition: "Cataldo is the world's premier coupon expert." Jill Cataldo, one of the premier coupon experts in the country, has lost count of the thousands of dollars she has gotten in grocery savings with coupons each year. Jill enjoys using coupons to get great deals and free groceries. In response to everyone who's ever asked her "how can I do that?" she developed her Super-Couponing® workshops, which teach people how to track sales and use coupons to their fullest potential. Jill has been the subject of numerous media outlets, including ABC's Nightline, ABC World News with Diane Sawyer, Inside Edition, the CBS Early Show, Fox News, NBC News, and many more. 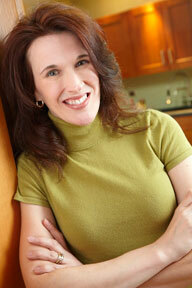 Jill is the author of Super-Couponing® Tips" a weekly syndicated newspaper column devoted to couponing. Super-Couponing® Tips is read by over 20 million people nationwide. In 2010, she launched a video companion series to Super-Couponing Tips, featuring weekly, one-minute video coupon lessons that are widely syndicated online. Her coupon-savings radio segment, "Deals of the Week," launched her to fame locally, appearing on the largest radio station in Chicago. Jill works as a consultant to stores, manufacturers and coupon distributors to help analyze how consumers will utilize coupons and promotions. In addition, Jill is also a consumer blogger who focuses on teaching beginners to use coupons correctly and ethically, maintaining a blog about grocery savings at jillcataldo.com. 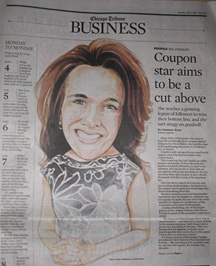 Read the Chicago Tribune's incredible, lengthy profile of Jill Cataldo: Coupon Superstar! This article was also picked up and run in over 25 other newspapers throughout the United States and Canada. Jill Cataldo's a longtime regular on the Jonathon Brandmeier radio show in Chicago with her "Deals of the Week" grocery shopping and coupon radio segment, which airs on WGN Radio 720 and can be heard in 38 states! "Deals of the Week" often features a good deal of audience participation, with a healthy amount of morning-radio irreverance thrown in for good measure. While the segment often strays beyond groceries alone, listeners repeatedly clamor for savings talk with Jill. Her segment was born in 2008 on the largest rock radio station in Chicago, with a predominantly male demographic! 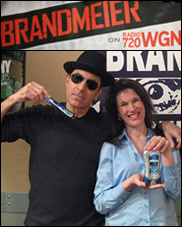 Today, Jonathon Brandmeier is at home on WGN Radio 720 in Chicago, and Jill's segment takes place on Tuesday mornings.